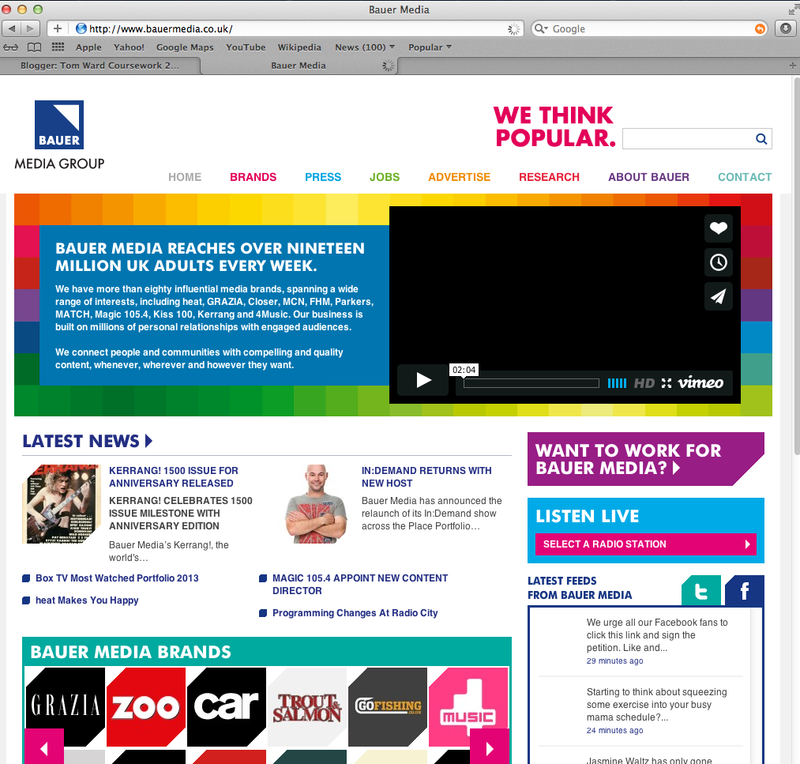 Bauer Media group is a multinational media company that's headquarters are based in Hamburg, Germany. 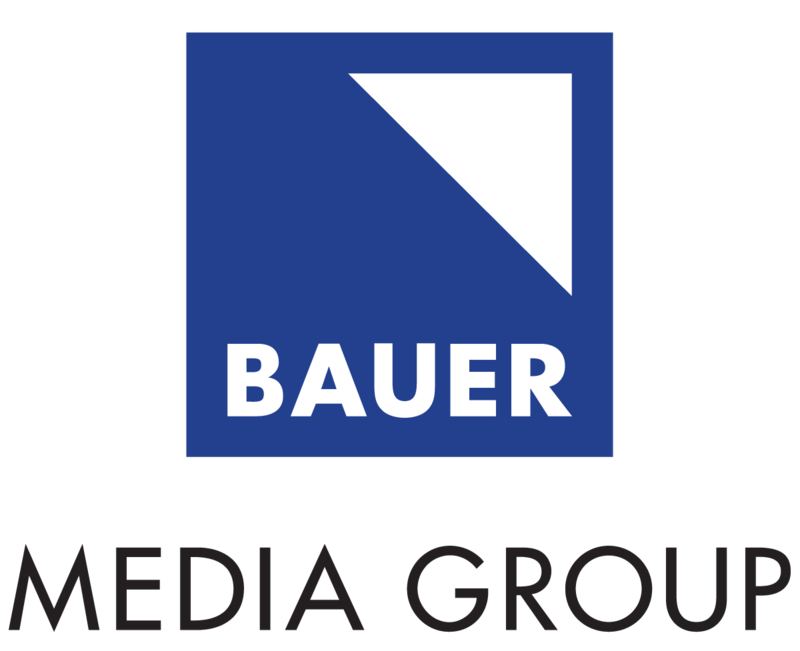 Bauer is actively involved In 16 different countries around the world. In 1990 H Bauer released the magazine Take a Break, this magazine sits in the true life market of the women's weekly sector and quickly became the market leader. Bauer first ventured into the UK in 1987 with a magazine named Bella was aimed to make an impact in the UK magazine market by mixing previously unseen real life editorial. Q started out as a music magazine published monthly in the United Kingdom. originally the magazine was named Cue after cueing a record to play. But the name was changed as it was unclear and could be thought of as a snooker magazine. The Q brand expanded from just being a magazine to the radio and television. These are all forms of music entertainment that specialises in Indie, Rock and alternative. Q also holds annual music awards known as the Q awards. In 2010 Bauer caused a great deal of controversy with an attempt to unilaterally impose a new contract on all photographers and writers which took away their copyright and off loads liability for libel copyright infringement from the publisher onto the contributor. This type of institution would be perfect to publish my magazine because its a business that is well known around the globe and has published worldwide magazine sensations. Along with the fact that they publish Q as this helps as it gives examples of why this institution is perfect for the type of magazine that I am portraying as I can refer to Q if I need help during the making of my final magazine.